In the wake of the financial meltdown in 2008, many claimed that it had been inevitable, that no one saw it coming and that subprime borrowers were to blame. This book is a response to such unfounded claims by Jennifer Taub, an associate professor at Vermont Law School. 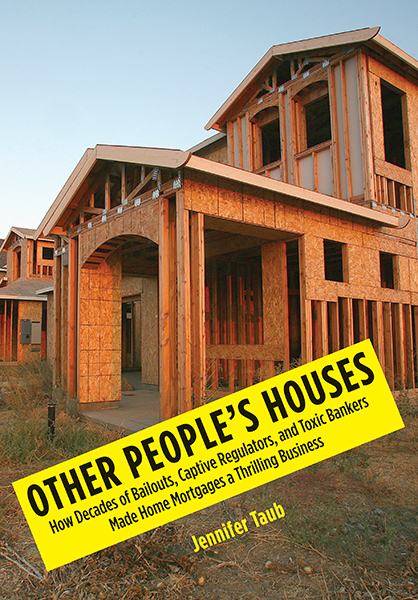 Drawing on her experience as a corporate lawyer, investment firm counsel, and scholar of business law and financial market regulation, Taub chronicles how government officials helped bankers inflate the toxic-mortgage-backed housing bubble, then after the bubble burst ignored the plight of millions of homeowners suddenly facing foreclosure. Pointing out similarities between the savings and loan debacle of the 1980s and the financial crisis in 2008, Taub writes that in both cases the same reckless banks, operating under different names, received government bailouts, while the same regulators overlooked fraud and abuse. And not much has changed, says Taub, who asserts that the 2008 crisis was not just similar to the S&L scandal, it was a severe relapse of the same underlying disease. And despite modest regulatory reforms, Taub found that the disease remains uncured: top banks remain too big to manage, too big to regulate and too big to fail. Jennifer Taub teaches courses on contracts, corporations, securities regulation, and white-collar crime at Vermont Law School. Formerly she was an associate general counsel at Fidelity Investments. She frequently speaks and writes about the financial crisis of 2008.